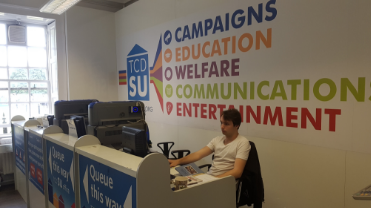 The TCD Students Union offers its members a variety of services. The Graduate Students' Union or Aontas na nIarchéimithe in Irish is an independent body which represents graduate students in Trinity College, Dublin. All graduate students of the College, including postgraduate research students and those on higher degree and higher diploma courses, automatically become members of the Union upon registering with the College. Although the GSU works in partnership with the Students' Union, the GSU is the only postgraduate representative organisation recognised by College. Visit the Graduate Students Union site.